There’s still time to enjoy a Watch Party like no other! Bill Currie Ford is once again working alongside generous community partners to bring you THE Watch Party, A One Buc Experience, benefiting Johns Hopkins All Children’s Hospital. 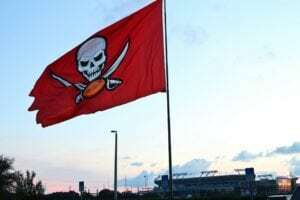 This is THE place to be to cheer on our Bucs as they take on the Minnesota Vikings, Sunday September 24. Visit http://www.billcurrieford.com/community/the-watch-party.htm to get your tickets today!